It’s not too soon to get excited about the highlight of 2010. Yes, I’m talking about the U.S. census, which has been taken every ten years since 1790. Census numbers are used to determine the distribution of congressional seats, which is why the Constitution requires it. The information is also used in allocating federal funds for government projects. Additionally, the census yields lots of statistics that give us insights about how our culture has changed; it’s a valuable fund of information for social and economic research. I wondered what questions were asked fifty years ago, for the 1960 census. That was the first one, incidentally, when the Census Bureau had respondents fill out questionnaires; prior to that it was always done by census takers. I guess a sufficient number of people were literate by 1960 that the government trusted us to do it. Even so, the 1960 census form had this helpful note: “Please be sure to list… all members of your family living with you, including babies.” Ah! So the baby is part of the family, too — good to know. • Did the person work at any time last week? Include part-time work such as Saturday job, delivering papers, or helping without pay in a family business or farm. Do not count own housework. They can probably drop “delivering papers” on the 2010 census. There can’t be more than fifty of us who still get home delivery of a newspaper. • Do you have any television sets? • Is there a flush toilet in this house or building? In 1960, ten percent of respondents said “no”. • About how much do you think this property would sell for on today’s market? The choices started at “Under $5,000” and increased incrementally to “$35,000 or more”. Half of all dwellings in 1960 were estimated by their owners to be worth under $35,000. Of course, a 1960 monthly mortgage payment was about what a six-pack of beer costs now. 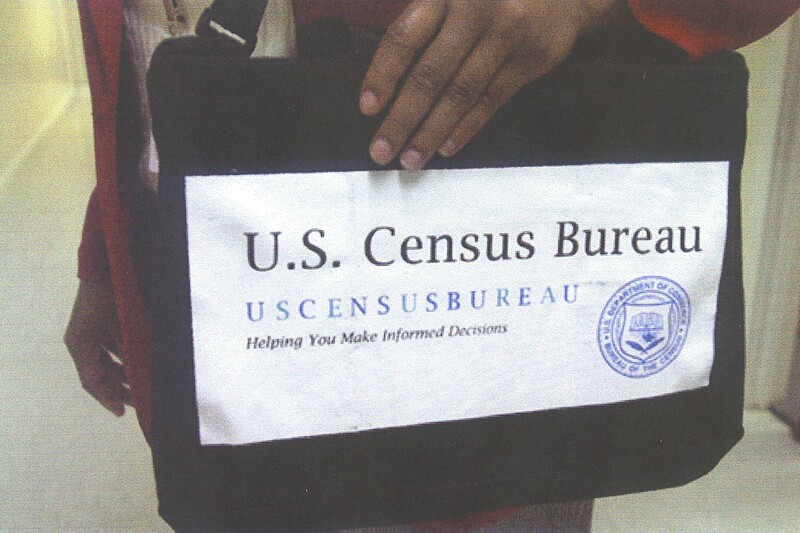 What other questions should the Census Bureau include in 2010 that wouldn’t have been part of the 1960 count? This entry was posted in History and tagged U.S. Census. Bookmark the permalink. 1. How often do you text a message while driving on a freeway? Do you own any books? Have you ever read one?